What is the difference between Sweet Almond and Bitter Almond? We have heard enough customer comments over the years to realize that probably a number of people don’t really understand the difference between sweet almond oil and bitter almond oil. I thought I would tackle this subject in today’s blog post and found while doing the research for the article that I learned a lot myself. To begin with – sweet almond oil is what’s known as a fixed oil while bitter almond oil is considered an essential oil. Fixed oils are in essence the carrier oils we use as a base oil whereas essential oils are extracts from a plant material that are generally used for scent and aromatherapy purposes. Fixed oils don’t evaporate and are typically what you think of when you hear the word oil. Essential oils can evaporate and are not really so much an oil as they are the “essence” of the plant material from which they come. They are generally used for scent, flavor and their aromatherapy properties. Almonds give us both sweet almond oil and bitter almond essential oil but they come from two different trees. The sweet almond tree (prunus dulcis, var. amygdalus) gives us the almonds which many of us love to eat. From these almonds come the sweet almond oil and an emulsion. The bitter almond tree (prunus dulcis, var. amara) also produces an almond, but broader and shorter in shape. From these is produced a lesser quantity of the fixed oil along with an emulsion which yields glucose, cyanide, and the essential oil of bitter almonds, which is nearly pure benzaldehyde. While researching I found it interesting that sweet almond tree usually has white flowers while the bitter almond tree has pink flowers. The almond tree is a small deciduous tree growing between 4 – 10 meters in height and was originally native to an area stretching from Pakistan west to Syria, Israel and Turkey. The sweet almond has many culinary uses. Besides being eaten on its own it has been used in dishes such as French macaroons, marzipan, nougat and almond butter. Pakistan and India finds them used in curries and in China they are a favorite dessert, mixed with milk and served hot. They can be made into a milk product similar to soy for those who are lactose intolerant or vegan. Almond flour is gluten free and contains almost no carbohydrates so products can be made from this for people with special dietary requirements. 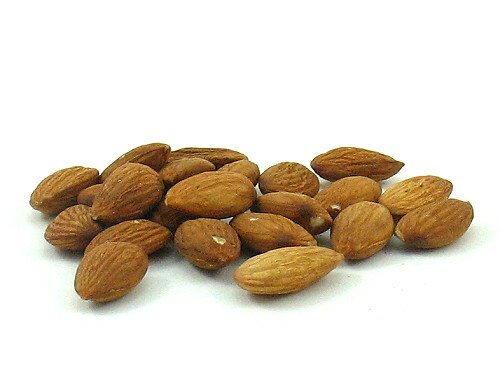 The bitter almond has been used historically in small amounts for flavoring in certain dishes such as almond syrup and the Italian amaretti. However, due to it’s potential for toxicity it’s use has been discontinued in present day. The two oils are very different from a skin care perspective as well. Sweet almond oil is is an excellent lubricant and is beneficial for dry, sensitive skin. It is considered to be a medium-light oil that is easily absorbed which makes it very useful both for massage and facial care applications. Sweet almond oil is primarily composed of olein and also contains linoleic aced and glucosides. It is rich in protein, vitamins and minerals and therefore is considered nourishing and revitalizing. We use it as the carrier oil in our Face Serums. Sweet almond oil is one of the most versatile, multipurpose skin care oils available. Bitter almond oil as mentioned before is an essential oil. It is not used as an emollient or indeed in any direct way for skin care at all. It’s usefulness is simply for it’s wonderful almond scent or flavor. Bitter Almond also doesn’t have any aromatherapy benefit like most of the essential oils we use. Lavender for example is known for relaxing qualities as well as it’s wonderful scent and great skin care benefits. Bitter Almond we use simply because our customers love the way it smells. We use Bitter Almond in our Almond Oatmeal Soap, Almond Salt Glow, Almond Lotion Bar and Honey Almond Lip Balm. The Bitter Almond we use is a food grade product that is 100% benzaldehyde and contains absolutely no cyanide. It is natural and completely safe. Sweet Almond oil is a fixed oil that is moisturizing and good for dry and sensitive skin. Great for massage and face care. Bitter Almond oil is an essential oil that provides wonderful scent and/or flavor. Read the ingredient labels of the products you are purchasing to know what it is made of and make your purchase decision based on your own needs. For example our Almond Oatmeal Soap smells wonderful but its the oatmeal and rice bran oil in it that make your skin feel so great, not the Bitter Almond Essential oil. Our Face Serums on the other hand feel fabulous on your skin and do a superb job of moisturizing due to their being made with Sweet Almond Oil. Now you should be set to understand the differences between sweet and bitter almond and be able buy what you want and understand what you are getting. 60 Responses to What is the difference between Sweet Almond and Bitter Almond? Bitter Almond should smell like Almonds or Jergens Lotion whereas Sweet Almond Oil doesn’t really have a scent. Sounds like some kind of inexpensive carrier oil scented with synthetic almond. Can I use bitter almond oil for pimple? For those who are wondering, bitter almond oil can be used as skincare. Just came back from Egypt and over there they use bitter almond oil. My friend purchased a bottle for her very dry skin and rosacea (pure bitter almond oil, with nothing else added). It did wonders for her skin in just 1 night – I saw the next morning that her dry flakes were finally gone. She has been using it since then and I regret not buying a bottle for myself! Which is best for face? Sweet Almond oil. You would not want to use Bitter Almond oil straight for anything. I am not sure I agree with this. I would not use bitter almond oil straight for any kind of skin care.